Vivian E. Balwinski age 82 of Bay City Michigan passed away peacefully at her home Tuesday, November, 27, 2018 surrounded by the love of her family after a courageous 2 year battle with cancer. Vivian was born in Bay City, Michigan on August 10, 1936. The daughter of the late Louis and Sophie (Frackowiak) Karbowski. She married Ronald J. Balwinski on September 6, 1958 at St. Hyacinth Church and remained parishioners of the church their whole life. 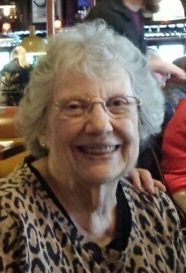 Vivian is survived by her husband Ronald and their five children: Audrey Balwinski (Richard Anderson), Michael (Velvet) Balwinski, Eileen (Audy) Amos, Allen Balwinski and Sharon (Ricky II) Ruse, three grandchildren: Ricky III, Ryan and Laci Ruse, whom she loved to take care of, spend time with and brought her great joy. She is also survived by her brother Raymond (Marcia) Karbowski and sister Margie Howard. Vivian was predeceased by her parents and her sister Romaine Semkew, brothers-in-laws: Thomas Balwinski, Robert Balwinski, Robert Howard and Eugene Semkew and a niece Lori Groulx. Our beloved wife and mother will always be remembered for her generous spirit.